Absen will showcase its latest fixed as well as rental and staging LED solutions in Booth SL10010 at the annual NAB Show. Officially launching to the North America region is Absen’s new Aries Series 1.5 mm. This is the company’s first NNP display that has been specially designed to meet the growing demand for sub-2 mm fine pitch LED in the rental and staging market. Supporting HDR10 standard, the AX 1.5 mm allows for a much broader range of colors, while being road-rugged thanks to its corner edge protection. The series utilizes common cathode technology for improved brightness and lower heat dissipation. In addition, the AX 1.5 mm is also ideal for fixed installations due to its 27.5-inch cabinet size, achieving a 16:9-aspect-ratio. 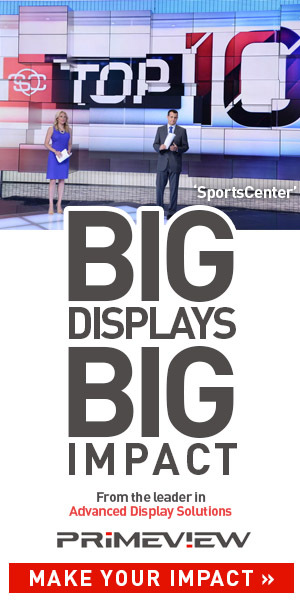 This makes it easy to replace existing video walls as well as supporting full front service to meet the needs of AV system integrators for fixed installs. To best showcase the new Aries Series, the Absen team has teamed up with Green Hippo, a specialist media server manufacturer and Notch, a real-time generative content program, that will be driving unique, interactive content that attendees can engage with as they walk by the video wall. Surrounding the AX 1.5 mm wall are four additional video walls of the new N Plus 3 mm and 4 mm Series which are ideal for today’s retail, house of worship, transportation and corporate environments. All the walls will be driven by the Hippotizer Boreal+ media server. 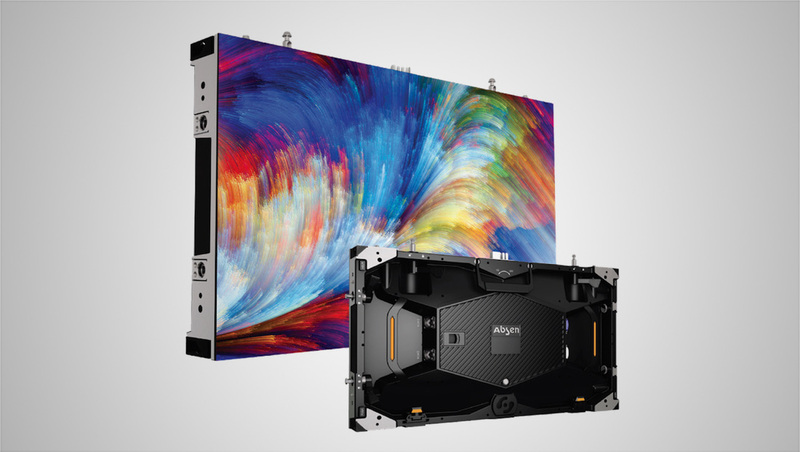 Also being featured in the Absen booth is the Polaris Series that will create two large video walls for a gaming environment for attendees. Thanks to the Analog Way Pictureall media server and their 4K seamless switcher, Nextage 16, the walls will feature engaging content in a PIP format along with popular video games. The series offers a pixel configuration range of 2.5, 2.9 and 3.9 including Pro and XL levels offering higher brightness of up to 5,000 nits and panel size of 500 mm by 1000 mm.